Iago, the charismatic technical director of the museum, is more than ten thousand years old but appears to be only thirty-five. Iago and his family are longevos -- people who never seem to age after reaching adulthood. The ancient family is divided: Iago's brother and sister seek the source of their longevity in hopes of creating more like themselves, while Iago and his father fear the repercussions of the true Fountain of Youth. A dangerous game of power and knowledge that has played out over eons becomes even more complicated when Adriana attracts both brothers' attention -- and learns their secret. 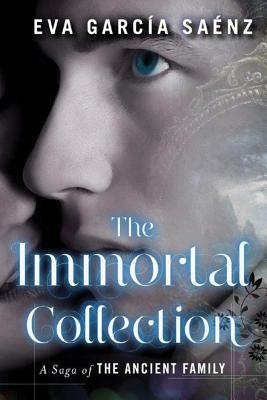 Filled with science, history, and passion, The Immortal Collection transports the reader through time and space, from the days of cavemen, through the Roaring Twenties, to the charming plazas of contemporary Spain. Ancient history meets cutting-edge research in this modern love story and sweeping historical saga.